Did Tamil Nadu Acting Governor Err in Accepting O. Paneerselvam’s resignation? The Union Law Minister, Ravishankar Prasad, indicated the Times Now television channel on Tuesday evening that the Tamil Nadu’s Chief Minister, O.Paneersevlam’s resignation was not valid, as the resignation letter was not personally given to the Acting Governor, CH. Vidyasagar Rao. The Acting Governor accepted O.Paneerselvam’s resignation on February 6, and asked him and his council of ministers to continue in office till alternative arrangements are made. Paneerselvam tendered his resignation on February 5, but did not meet the Acting Governor personally to hand over the resignation letter. As the Acting Governor was away in Delhi, Paneerselvam, it appears, sent the letter through a messenger. In his interview to Times Now on Tuesday, Prasad said that if the Prime Minister wants to resign, the convention has always been that he meets the President personally to hand over the resignation letter. Therefore, Prasad indicated, without elaborating, that Paneerselvam’s resignation letter, should not have been accepted by the Acting Governor, without giving him the personal audience. This, according to observers, raises interesting questions. If Paneerselvam’s resignation is not valid, he continues to be a full-fledged chief minister in office, and need not even prove his majority on the floor of the house, unless asked by the Acting Governor, in view of the rival faction’s claims. It is for the rival faction to move a no-confidence motion against him, and unseat him. This also means that Paneerselvam need not formally withdraw his resignation letter, if legally, it is not valid, and the Acting Governor’s acceptance of it is flawed. 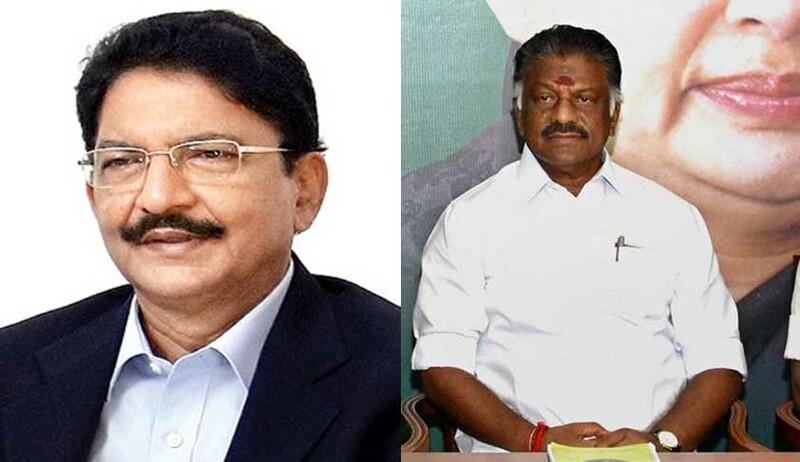 If, however, the Acting Governor insists then Paneerselvam can submit a formal letter withdrawing his resignation, saying that his previous letter was obtained under duress. In that event, the Acting Governor may have to permit Paneerselvam to withdraw his resignation, thus rescinding his own acceptance of it. If Paneerselvam’s resignation is formally annulled, then the Acting Governor cannot deny his first opportunity to prove his majority on the floor of the House, even if he is not backing his claim, with proof of support from majority of MLAs from the ruling AIADMK. The Supreme Court has consistently held since the Bommai judgment in 1994, that it is not for the President or the Governor to verify the claims of majority support in the assembly, but let them be tested on the floor of the House. This would mean that the rival group, opposed to Paneerselvam, even if it has been successful in claiming majority support in the AIADMK legislature party, may have to await the outcome of the first round of floor test with the incumbent chief minister seeking a vote of confidence. It is only if he fails to prove his majority, the leader of the rival group will be invited by the Governor to form the Government, and prove his majority in the assembly within the stipulated time. The Acting Governor of Tamil Nadu owes an explanation to the public, whether he erred in accepting in haste the resignation of Paneerselvam as the Chief Minister on February 6, without verifying it personally with him, consistent with the convention, as pointed out Prasad.